The Antares rocket being lifted vertically onto the pad Dec. 17 (Credit: NASA/Bill Ingalls). Engineers began troubleshooting the coolant problem last week. A flow control valve is not working properly and the ammonia used as coolant in that loop — one of two on the ISS — therefore is not being maintained at the proper temperature. The affected loop was shut down and all critical ISS systems transferred to the functioning loop. The ISS could remain in that situation for a while, but with reduced scientific experiments and less redundancy. They were trying to find a workaround to avoid spacewalks, but decided today that they needed to move forward with fixing the problem. 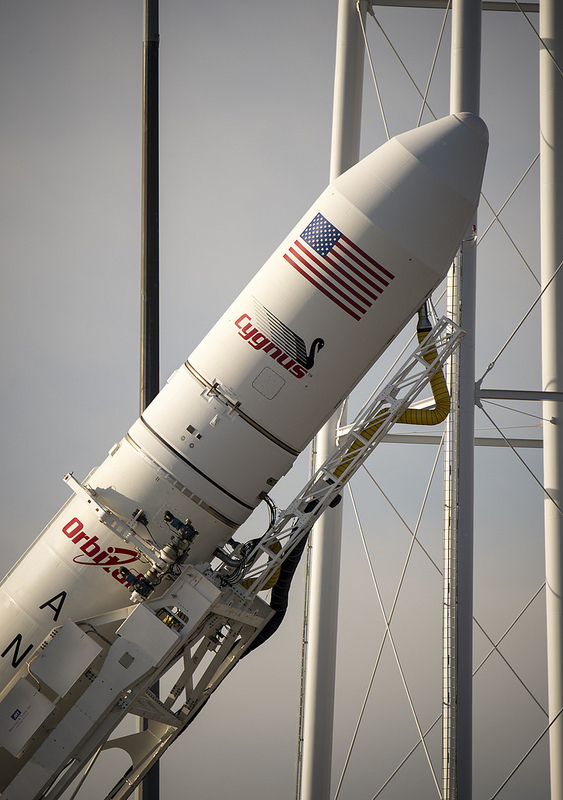 Featurre image caption: The Antares rocket was rolled out earlier today to preserve a possible launch date on Thursday (Credits: Bill Ingalls / NASA).